Over the last two decades, SAGE’s science, technology and medicine program has grown rapidly, with SAGE now recognized as a leading independent publisher in those disciplines and one of the top five publishers of medical journals in the world. Working with preeminent health and life science researchers, practitioners and societies, SAGE now publishes the prestigious journals of many leading organizations, such as Cephalalgia, on behalf of the International Headache Society, European Journal of Preventive Cardiology on behalf of the European Society of Cardiology, and The Journal of Dental Research, published on behalf of the International and American Associations of Dental Research, as well as prominent titles such as Multiple Sclerosis Journal. SAGE has also launched key medical titles and series, such as the Therapeutic Advances journals, and has a growing program of Open Access titles. Our broad, high quality and cutting-edge portfolio has also expanded through recent acquisitions such the Royal Society of Medicine’s journal portfolio. 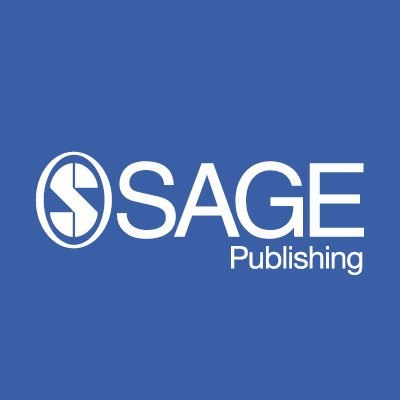 SAGE has been at the forefront of developing innovative publishing models to support the field, and we continue to support our authors with avenues to publish their research in the format that best suits their needs. Follow us for the latest information on clinical medicine journals, as well as general news items of interest. SAGE is proud to publish three journals on behalf of the prestigious European Society of Cardiology (ESC). The ESC represents over 85,000 cardiology professionals, and their mission is to reduce the burden of Cardiovascular Disease in Europe. Their activities include organising the ESC Congress, the largest and most influential cardiology event in the world. Follow us for the latest research in public health and health services, as well as general news items of interest.